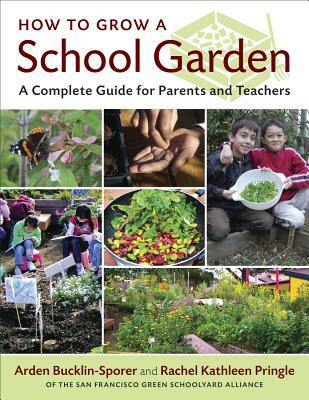 In this groundbreaking resource, two school garden pioneers offer parents, teachers, and school administrators everything they need to know to build school gardens and to develop the programs that support them. Today both schools and parents have a unique opportunity—and an increasing responsibility—to cultivate an awareness of our finite resources, to reinforce values of environmental stewardship, to help students understand concepts of nutrition and health, and to connect children to the natural world. What better way to do this than by engaging young people, their families, and teachers in the wondrous outdoor classroom that is their very own school garden? Arden Bucklin-Sporer is executive director of the San Francisco Green Schoolyard Alliance, an advocacy organization for school gardens and outdoor classrooms. She is the director of educational gardens for the San Francisco Unified School District, and a founding partner of Bay Tree Design, Inc., a landscape architecture firm. Arden has worked with green schoolyards and public school gardens for over a decade, building an award-winning school garden program as a public school parent and working closely with school districts at the local, state and national level. Her interest in urban agriculture is fueled by her family's organic farm and vineyard in Sonoma County, CA. Arden lives in San Francisco and Sonoma with her husband and three mostly grown sons. Rachel Pringle is the chief strategy officer at Education Outside, where she co-founded the first national service corps dedicated to teaching hands-on science in the school garden. She has worked in environmental education since earning a master’s degree in conservation biology at the University of Pennsylvania.